Last Game: Wednesday at home the Penguins beat the Syracuse Crunch 6-2. Dominik Simon had two goals. For Lehigh Valley, they hosted the Hershey Bears and overcame a 0-2 deficit and won 3-2 in overtime. Nick Cousins scored the game winner. 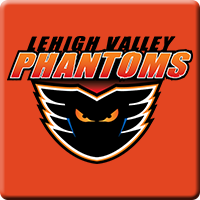 Last Meeting: Last Friday in Wilkes-Barre the Pens lost to the Phantoms 3-1. Conor Sheary scored the only goal for the Penguins in the loss. Why you should care: Wilkes-Barre visits Lehigh Valley for the very first time this season in Allentown looking to get revenge on what happened last Friday which was a forgettable weekend for the Penguins all around. Expect a better effort from the Penguins today. Other Game to Watch: Chicago visits Lake Erie in a Central Division clash between contenders.